Moschino can do no wrong when it comes to their beloved teddy bear. Pair that with material-of-the-moment, rattan (not to be mistaken for wicker, which is actually the technique/style of weaving), and you’ve pretty much got a winning combination in the Teddy Wicker Shoulder Bag. 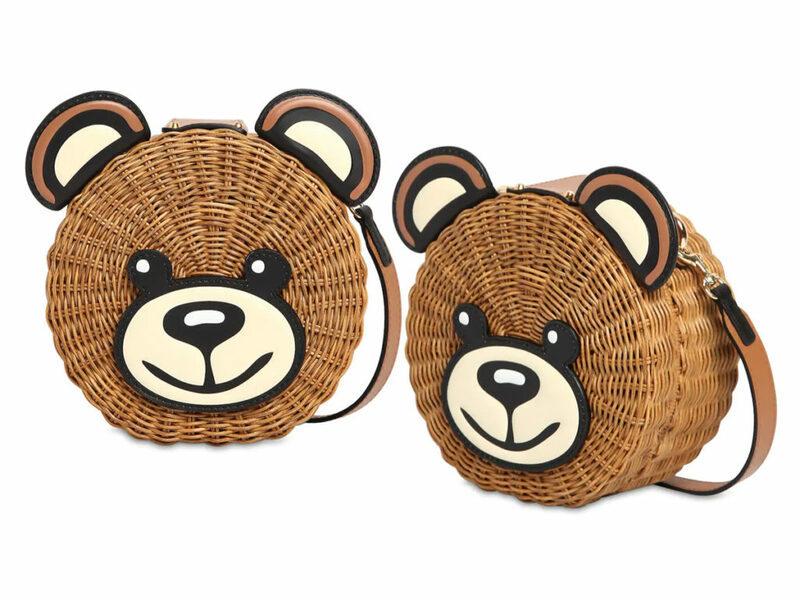 Cute, chic, and on-trend are just some of the words you can use to describe the bag, which comes in a circular (18 cm wide) rattan body with leather details like ears, eyes and mouth to recreate the iconic head of the teddy bear. Opening the bag is simple. Flip it to the back where you will find a rear snap closure, one that unfastens to a roomy depth of 10 cm that will fit a number of key essentials like a cardholder, mini wallet, mobile device and even a compact powder for all your touch-ups on the go. It’s the perfect summer piece, which can even be brought to the beach, and a definite head-turner when carried down the sidewalks of Orchard Road. You won’t be able to find the bag in Singapore boutiques, but you can head over to LUISAVIAROMA, which has it stocked at SGD2465 inclusive of import fees and shipping. Ah, the magical wonders of online shopping.